Have you started studying a new Health Science course since September 2017? From 1 August 2017, new Nursing, Midwifery and (most) Allied Health Professionals on pre-registration courses apply for funding through the standard student loan system. This applies to both September and February cohorts. The funding you are eligible for comprises Tuition Fee Loan, Maintenance Loan and additional non repayable grants for students who have a caring responsibility (for an adult who is financially dependant on them or a child/children) and also those who have a disability or health issues which means they receive DWP Benefits. You can also apply for the Disabled Students Allowance if you have additional learning based costs. Child Dependants’ Allowance – students who have a child under 15 years old, or under 17 years if they’re registered with special educational needs, can claim a £1,000 non income assessed grant each academic year. Students will need to apply for this each year they’re at university. This is in addition to any Parent Learning Allowance grant awarded by student finance. 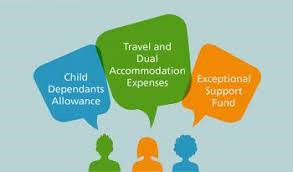 Travel and Dual Accommodation Expenses – students can claim back any additional expenses they’ve had as part of attending practice placements. Students need to submit their claim within 9 months of the last day of their placement. Even if you don’t have a child, this is how you claim your travel expenses under the new rules. Exceptional Support Fund – students who find themselves in financial hardship can apply for an income assessed grant of up to £3,000 per academic year. This is in addition to any Student Support Fund award which the university may have issued to you. All applications to the Exceptional Support Fund must be supported by the Student Advice Service, but please note that we do not assess these applications. It is really easy to apply for the Learning Support Fund(LSF). Students simply create an account online and select which type they want to apply for. the NHS ask for a copy of your student finance letter each academic year. Students must also include a student coversheet whenever they send evidence or correspondence to us, which you can download from your LSF account. There is a guidance video which can take students through the application process. You can find lots of useful information about LSF and how to apply by visiting the Learning Support Fund website. You can also use Twitter @NHSBSA_LSF or Facebook /LearningSupportFund. If you want to talk to a member of the NHS assessment team about LSF please email nhsbsa.studentservices@nhs.net. If you have any questions about funding, finance, budgeting, banking, benefits or anything else with a money twist, please contact the Student Advisers here at Brighton. Why are Paramedic practice students not able to access this? As the holder of a first degree and studying paramedic practice I can not get SFE loans for fees either. Thanks for your comment, which raises a good question. Prior to September 2017, Paramedic Practice students received different funding across the UK, depending on the local Health Education arrangements. 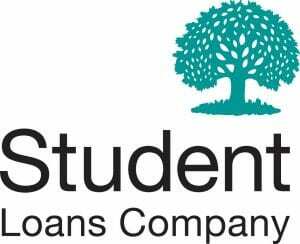 Students at Brighton had their fees paid in full and received a living costs allowance from Health Education Kent Surrey Sussex (HEKSS) plus they received a reduced rate of Maintenance Loan from Student Finance. made the funding package more transparent and consistent. Unfortunately, Paramedics were not included in the list of eligible courses for the NHS Learning Support Fund as these courses did not previously attract an NHS Bursary and as a subject, Paramedic Practice was not included within the Healthcare Education Funding Reforms. If you are experiencing financial difficulties and you need some advice or support from the university, please contact the Student Advice team by telephone 01273 642888, or call in to see us at your campus.